Wilton resident, Selina Santos, 42, completed the Chicago Marathon Saturday, her heart beating strong with every stride in the 26.2-mile race. 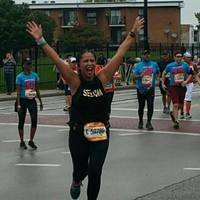 Finishing a marathon is no small feat for any runner, but for Santos, a heart disease survivor, crossing that finish line meant so much more. 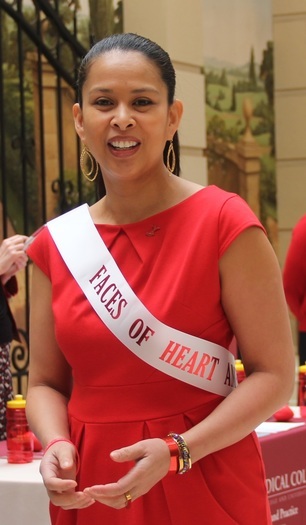 Santos served as a 2016 Faces of Heart Ambassador at the American Heart Association’s Go Red For Women Luncheon, sharing her story to raise awareness for women’s number killer—heart disease. She encouraged women to take charge of their health, know the warning signs of heart disease and get help if symptoms are present. 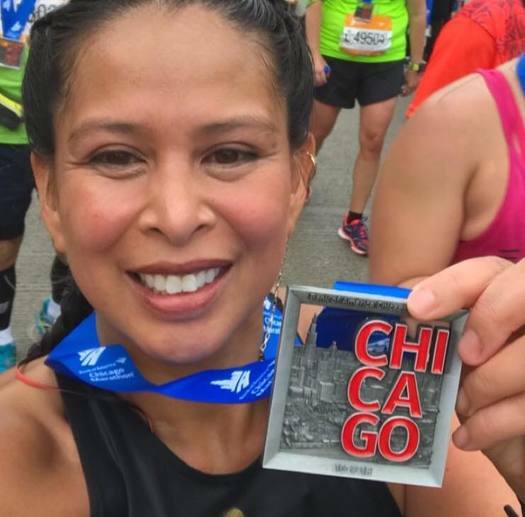 The Chicago native said she experienced heart symptoms when she exerted herself, even as far back as her teens and 20’s. Her symptoms included palpitations, shortness of breath, chest pain and headache. “I was always told the same thing. You’re too young. You’re a woman. It’s stress. So, I ignored the symptoms until 2010. I was sitting at work and I couldn’t stand it anymore, I felt like I couldn’t breathe. I excused myself and went to the urgent care. I was finally referred to a cardiologist,” she said. After extensive testing, her doctor finally pinpointed the problem--heart valve insufficiency and tiny holes her heart. Her heart valve was leaking, compromising her heart’s ability to circulate blood properly. Her choices were surgery or lifestyle changes. She chose spin classes over scalpels, first with just one class per week, then daily classes. She eventually became a spin instructor at JoyRide Cycling and Fitness in Wilton, and recently began the long haul of training for the marathon. Doctors said she couldn’t run the marathon because of the stress on her heart. That made her fight harder. Her training regimen started at 5:30 AM on some days with spin class, then cross training and running, with recovery days interspersed. She tried to keep her heart rate down to reduce stress on her heart. 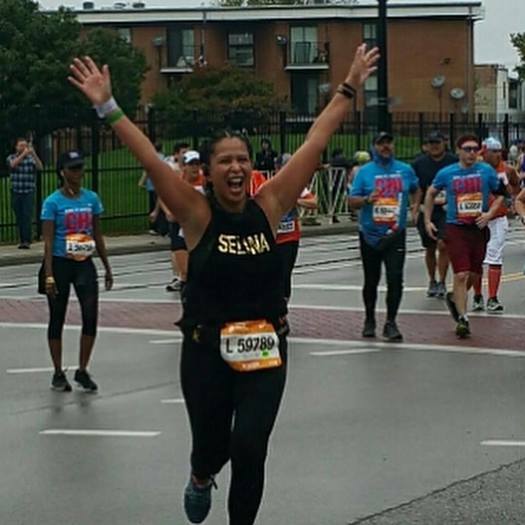 In the past four months, she has finished four 5K’s, two 10K’s, four half marathons and one full marathon. 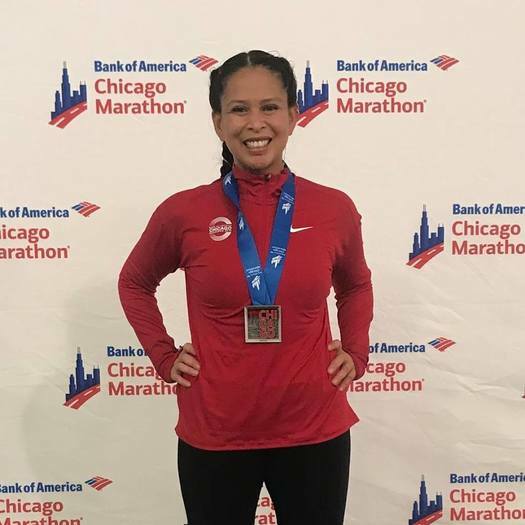 “Being able to run Chicago after believing I couldn’t, gives me new purpose, not just for me but for those who have heart disease and for everyone who has be told they can’t,” said Santos. 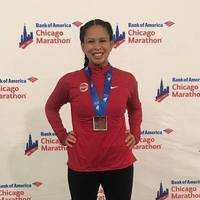 Despite hamstring cramps and her heart monitor failing at mile 19, she and her strong, healthy, beating heart ran across the finish line, victorious, with an official time of 5 hours 11 minutes. 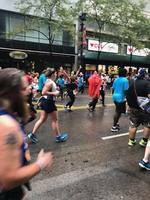 Though overjoyed to finish the Marathon, she reflected on her run time and admitted, her time could’ve been a bit better. That’s the heart of a true marathon runner.